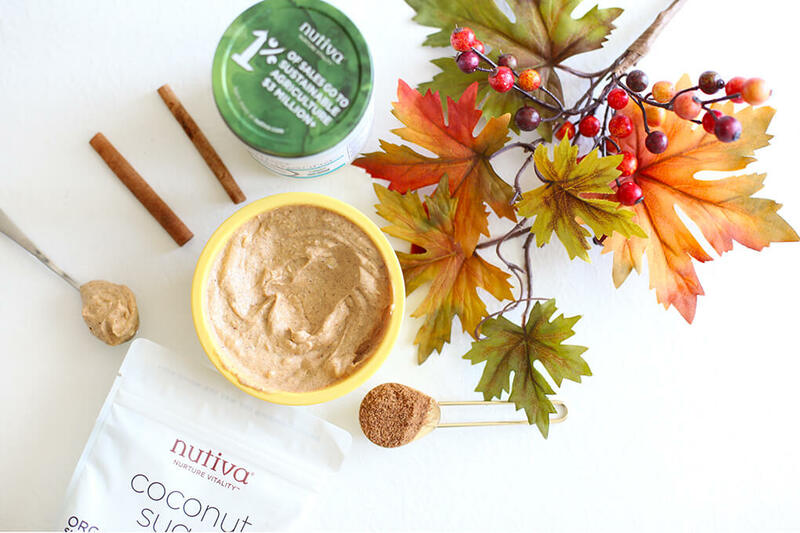 Back in August, I created this Coconut Oil Makeup Remover How To for Nutiva. I also shot all the images, and this Lavender just makes me calm and happy so seeing the pictures again reminds me to go get a bouquet stat. In my next life, I think I’ll strictly be a food blogger. While writing the Gluten Free Recipe Roundup Five, I realized how much I love cooking, baking, creating, and sharing it all. I don’t get enough time to do it, and so, in my next life, I’ll just stick to 100% food blogger. Mmmmmkay? People have long wondered how I can go without gluten, this, that or the other. Honestly? It’s not hard. Not today at least. Ryan and I went out for dinner last night for our 9-year anniversary, and during our conversation about something unrelated to food he said to me, “I feel like you’re seeing this as a lose/lose situation. It’s not. 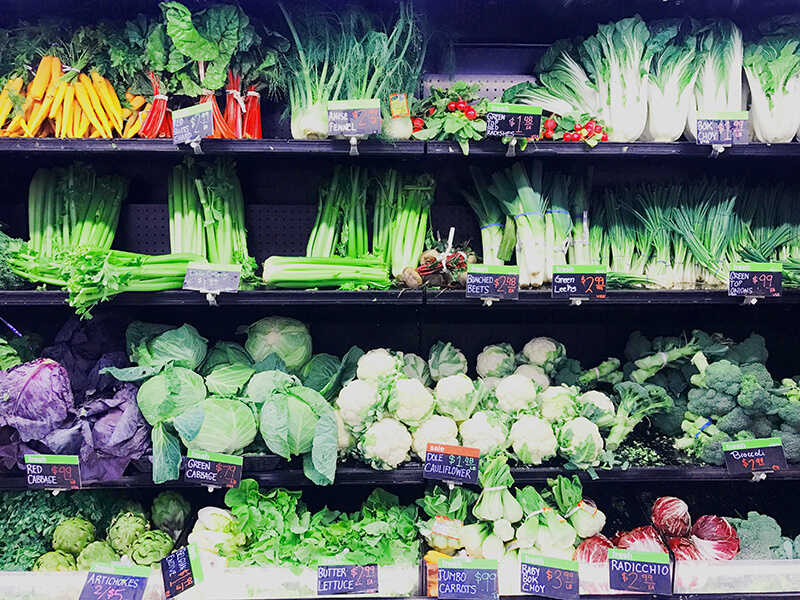 Life is a win/win.” His optimism helps me get through everything, but what he said about that situation is kind of how I feel many look at food – a lose/lose if they aren’t able to eat whatever, whenever, and however they want. Have to give up gluten, grains, dairy, peanuts, soy, ect.? It really won’t be so bad. 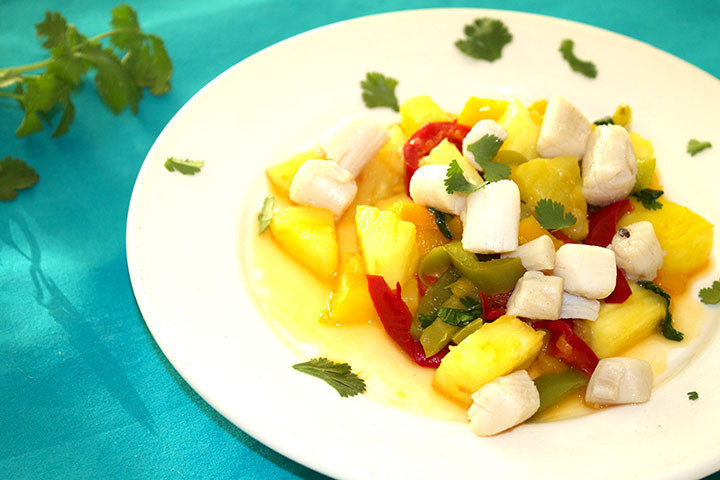 With recipes like the ones below, you’ll see how it can be a win/win…..for flavor, satisfaction, and (obv) healing. How to Make Chia Pudding. This isn’t a huge recipe by any means, but sometimes knowing exactly how to do the fundamentals can change your outlook on trying new things. 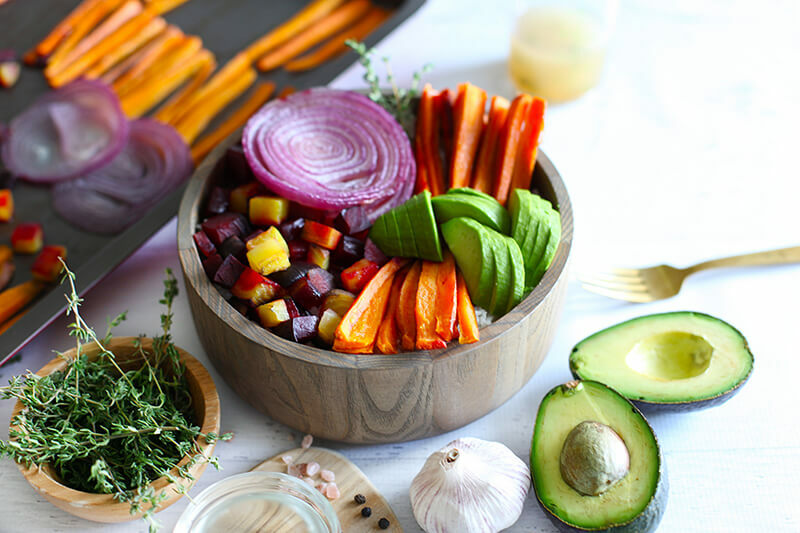 This “recipe” has been pinned over 7,500 times on Pinterest, and if you want validation for it, all you have to do is click HERE to see what people had to say! p.s. I have only ever made it using THIS coconut milk, so that’s the one I know will work perfectly. I can’t be 100% certain on any others. 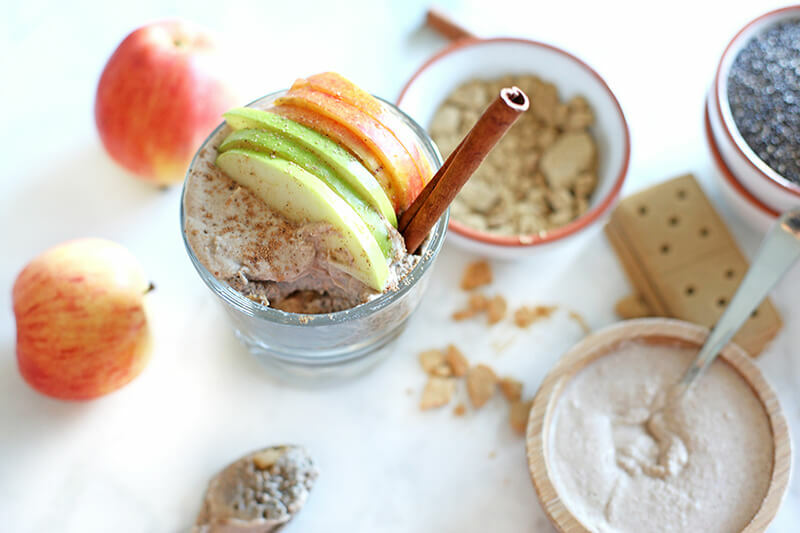 Apple Pie Chia Pudding. Now you can turn that Chia Pudding base into something fall, festive, and delicious. There is a bonus recipe stuck in there, too, for Cinnamon Vanilla Whipped Cream. Banana “Splits.” I don’t have an official recipe for this one, but I did some photos for a client around the idea, so I’ll share with you how to do it. 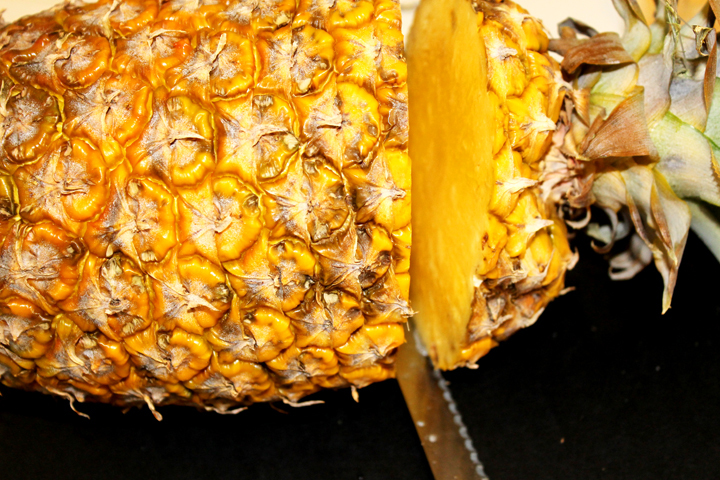 Grab a banana, and slice it down the middle lengthwise (to break it up, I also cut it in half). Then, smother with your favorite nut butter (pictured uses Beardy Boys Pecan Spice – incredible, but I recently tried Georgia Grinders Maple Caramel Almond Butter on it and it was insanely awesome!). 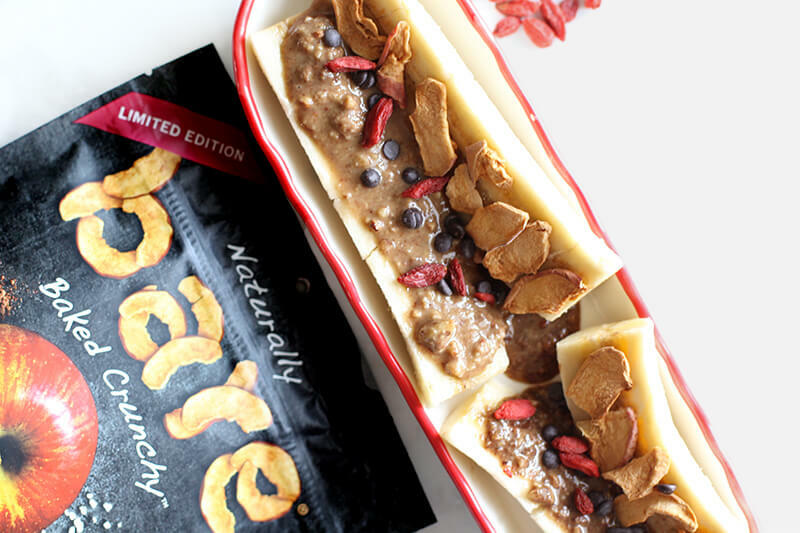 Finally, top with Bare Chips (if you can still find the Pumpkin Spice ones, choose those) + Enjoy Life Mini Chocolate Chips, and some dried Goji berries. And there you have it. MCT Matcha Latte. Do you have to be off the coffee/caffeine train? Or just love the beautiful color of Matcha. 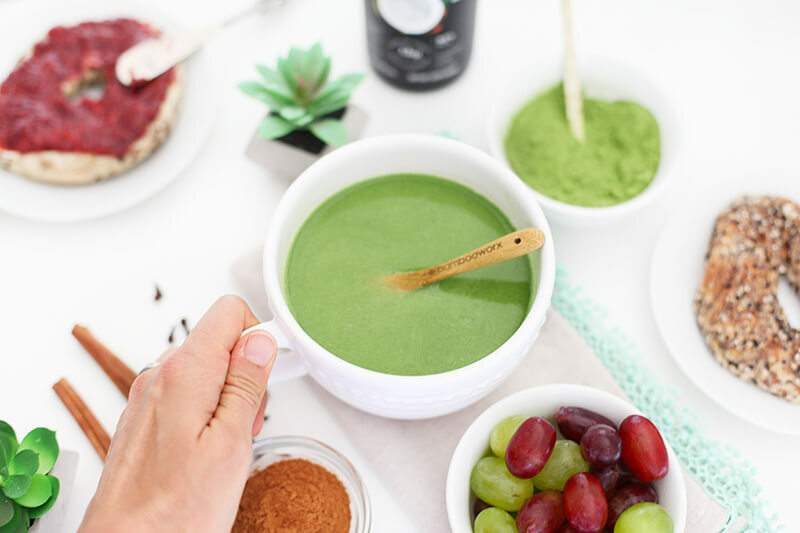 Then you’ll love this MCT Oil-boosted Matcha Latte. Ultimate Nut Butter Guide. Ta daaaaaa…….I have finally released a jumbo-licious guide on How to Make Nut Butter. 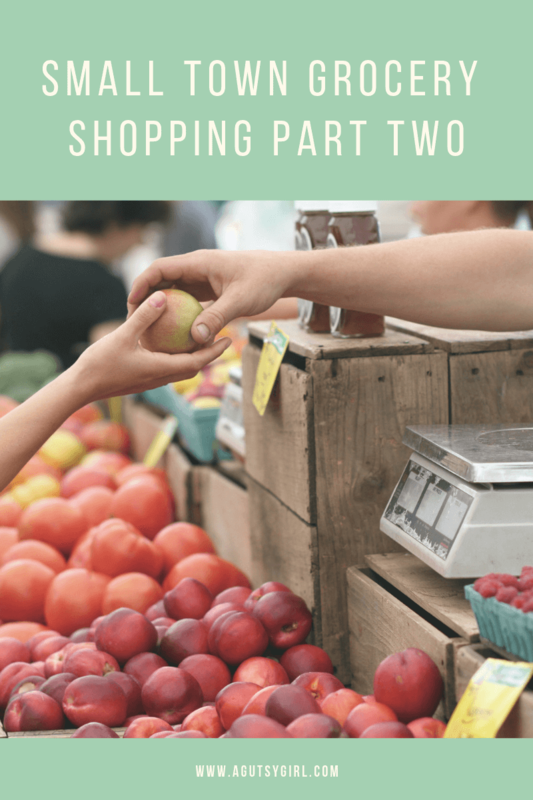 In this guide, you are going to learn: prep steps, nut options, salt options, oil options, sweetener options, nutritional boost options, additional dessert-like ingredient options, how to determine quantities, and how to make the nut butter. There are visual graphics like this which you can PIN FOR LATER, and all the necessary information to DIY. You are welcome. 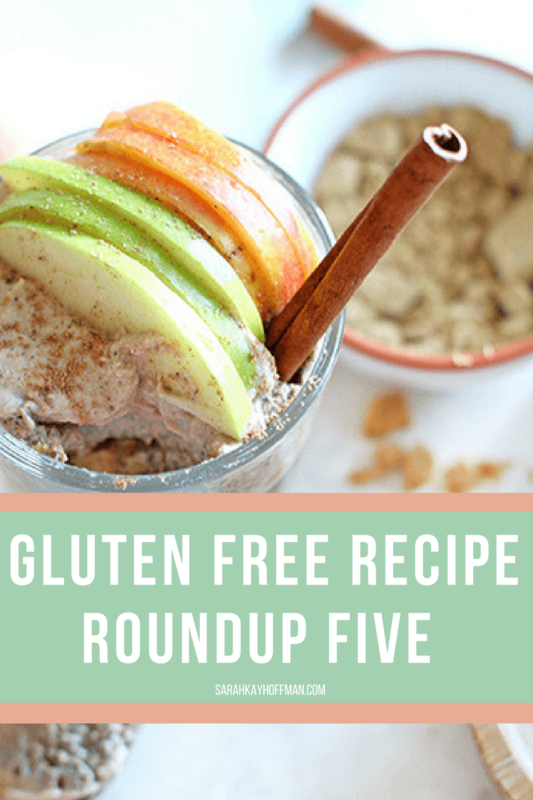 Let me know what you try from the Gluten Free Recipe Roundup Five, and what your favorites are! As always, be sure to contact me, if there is a recipe or idea you’d love to see me bring to life! p.s. 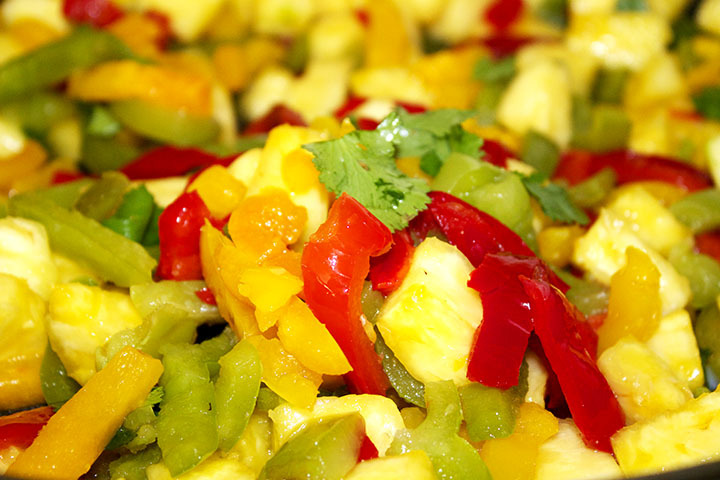 I also recently wrote a big post on Coconut Manna…..35 Ways to Use Coconut Manna. Time for the Gluten Free Recipe Roundup Four…..because I’ve been producing like a champ. Or something like that. This edition is kind of incredible, I won’t lie. 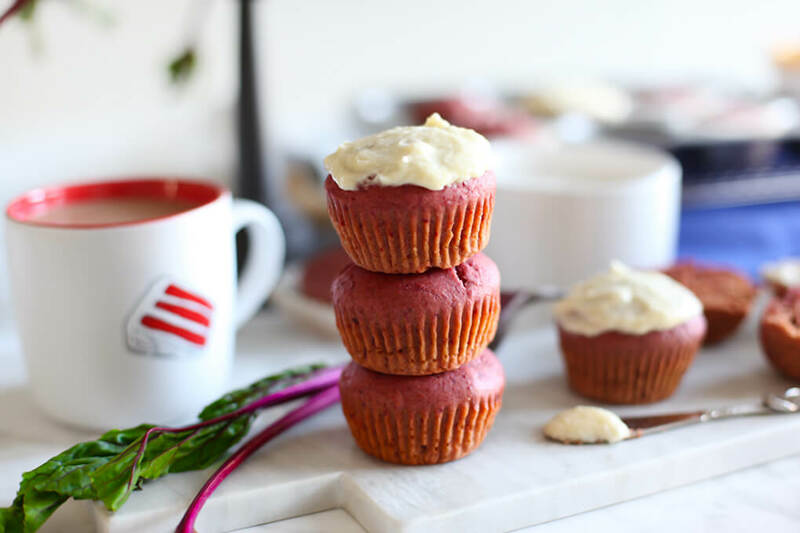 It combines some of my most favorite things…..fall, cupcakes, and A Loving Spoon nut butter. I decided to publish this post on a Friday because then you have all weekend to peruse, gather any necessary ingredients and play, play, play. Regardless of when you decide to test these out, be sure to give them a try. You’re totally going to “fall” in love with them. All of them. All Natural Red Velvet Cupcakes. Holy cows! That’s all I’ll really say about this recipe. Our graphics designer calls them, “To Dye For Red Velvet Cupcakes.” She’s so right. The kids, Ryan, and I gobbled these up so quickly. DIY Coconut Oil Makeup Remover Pads. (No, you don’t eat this one, but it is gluten free. 🙂 ) I have some exciting new news coming (hopefully in the beginning of October), but it has to do with my growing passion for natural and chemical-free skincare and makeup products. For now, you can learn how to make your own makeup remover pads with no harsh chemicals using Nutiva’s Organic Liquid Coconut Oil. Homemade Coconut Milk. I use Coconut Milk approximately 734 times per day. 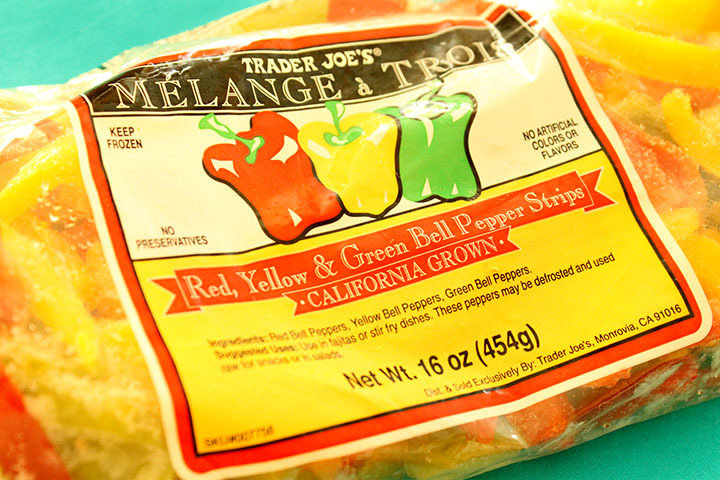 We use it in coffee, smoothies, popsicles, baking, cooking, soups, sauces, and more. Figured I might as well just learn how to make my own. 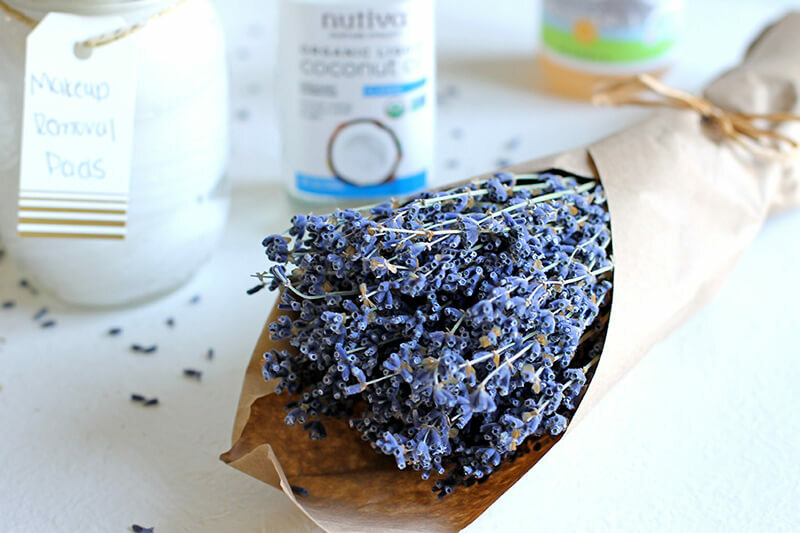 Homemade Lavender Coconut Oil Body Wash. Again, you probably shouldn’t eat this one, but it’s another natural body care product you can make on your own and feel 100% about with the ingredients used. MCT Carrot Cake Walnut Butter. You’re welcome. That’s all. MCT Pumpkin Spiced Latte. You thought every single kind of Pumpkin Spice Latte has already been created. Well, it has not. Enter this one…..thick, and creamy, and boosted with Organic MCT Oil. MCT Turmeric Golden Latte. Yeah, yeah, yeah, another MCT Oil one. 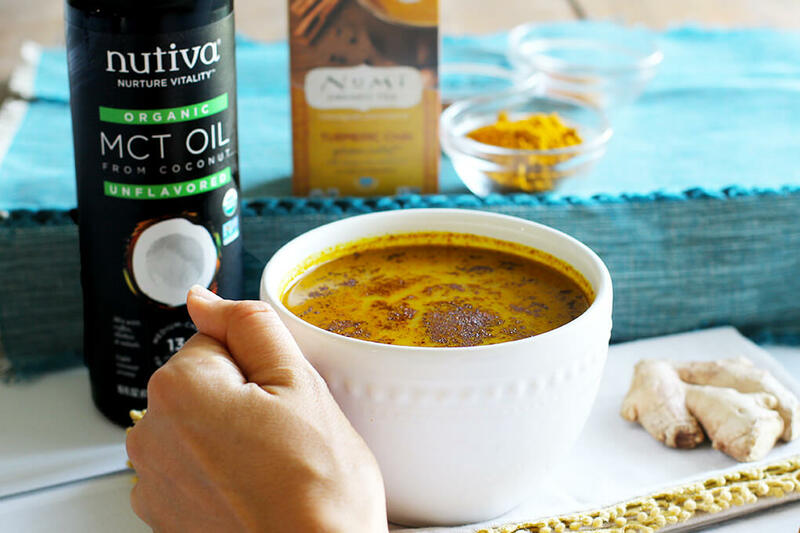 I’ve been doing quite a few of these lately because it’s Nutiva’s newest product that has been rising in the ranks. Besides, it’s the highest-quality one on the market, and it sure did boost this Golden Latte perfectly. Pumpkin Spiced Whipped Cream. Don’t like all the things Pumpkin Spiced? Then I am sorry (but not sorry) for this pumpkin-infused edition. 24/7 I want to let it be fall. Do love Pumpkin Spice? Then this is the whip for you. Purely Cacao Peanut Butter. 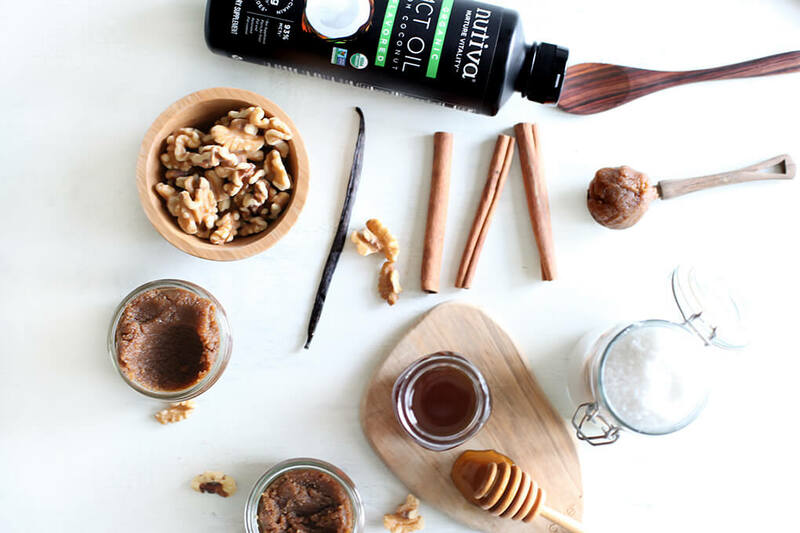 This was one of the most popular A Loving Spoon nut butter flavors, and you can now get the recipe. Raspberry Chia Seed Jam. I was working on some PBJ stuff, so this jam was created. It is super basic and totally awesome. Vegan Ramen Noodle Lettuce Wraps. I just can’t even with these. 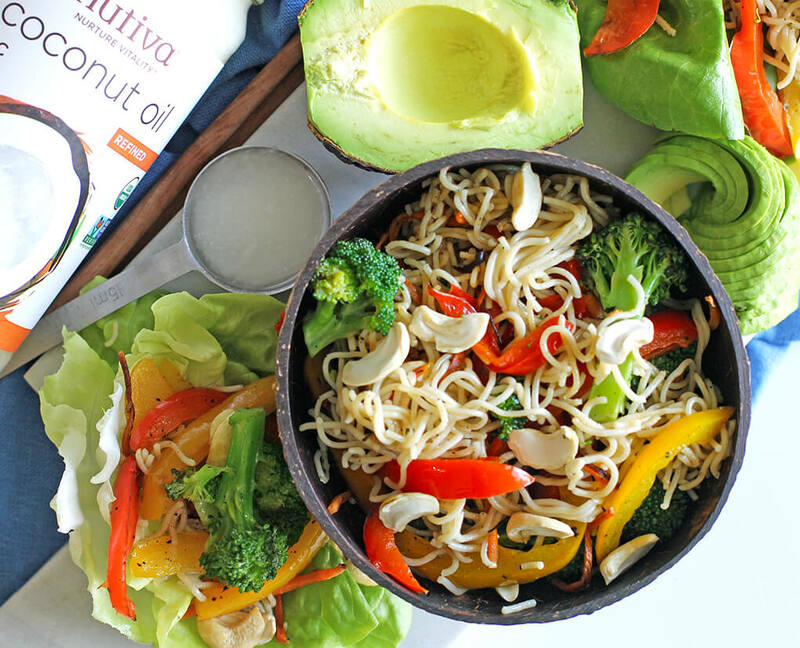 They combine some of my favorite things, including Nutiva’s Coconut Oil and Lotus Foods’ Ramen Noodles. People keep asking how I can eat noodles, pad thai, and rice. Lotus Foods is the answer. All their products are rice based, zero fillers, and are gluten free. I used these noodles for the recipe. 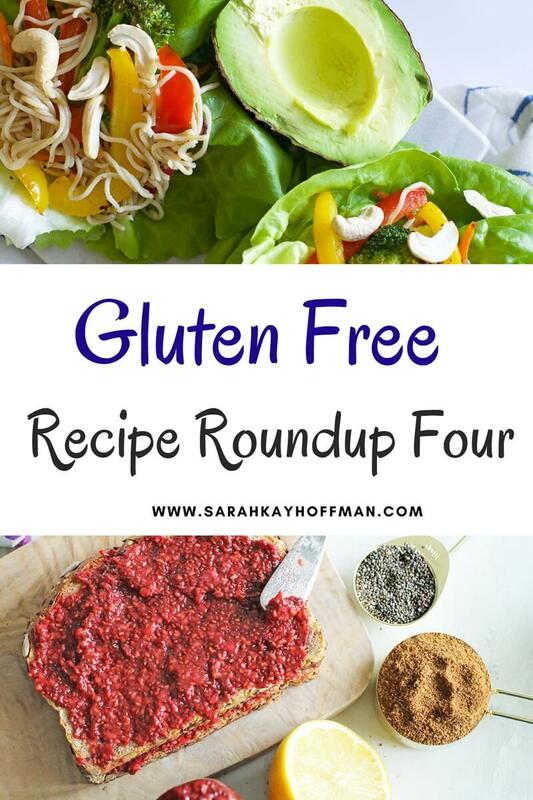 Let me know what you try from the Gluten Free Recipe Roundup Four, and what your favorites are! As always, be sure to contact me, if there is a recipe or idea you’d love to see me bring to life! p.s. These are not straight recipes but might help you as well. I recently wrote 18 Ways to Fuel Your Day and 21 Kid Friendly Lunch Box Ideas. Today’s post is colorful. 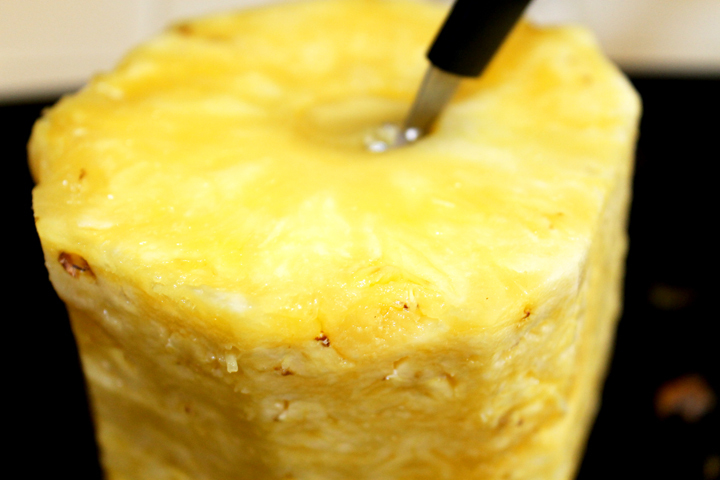 I’m going to show you how to cut a whole pineapple, and share a new recipe! Pineapple yellow is the main color. I’m not even a yellow fan, but this is luscious. 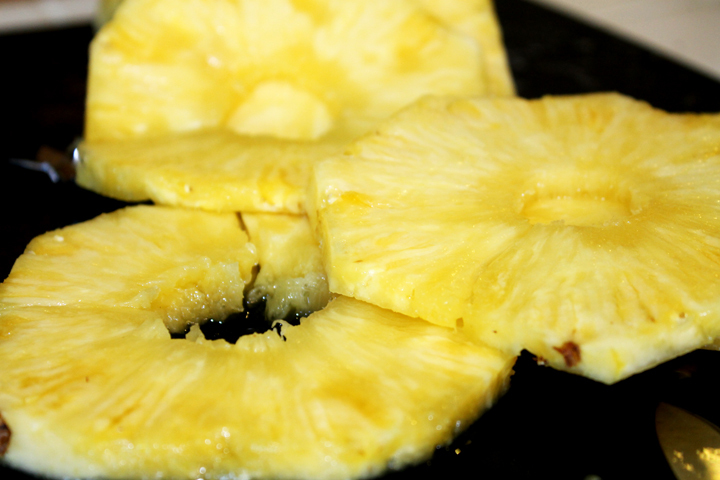 Last night I made fresh juices using pineapple. Try it: cucumber + celery + pineapple. The night before I made a Caribbean Baby Scallop Stir Fry meal. 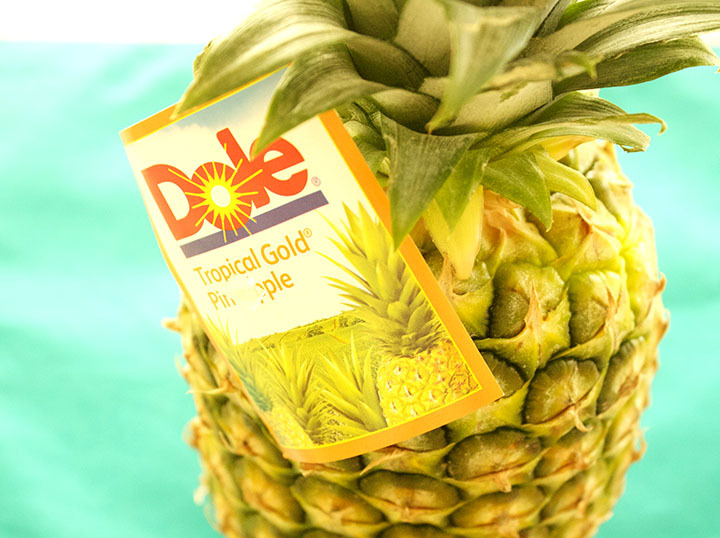 We love pineapple around here. Sometimes it makes my mouth do funny things (when I eat it raw – OAS – oral allergy syndrome), but I love the natural enzymes it produces and sweet juices extracted. 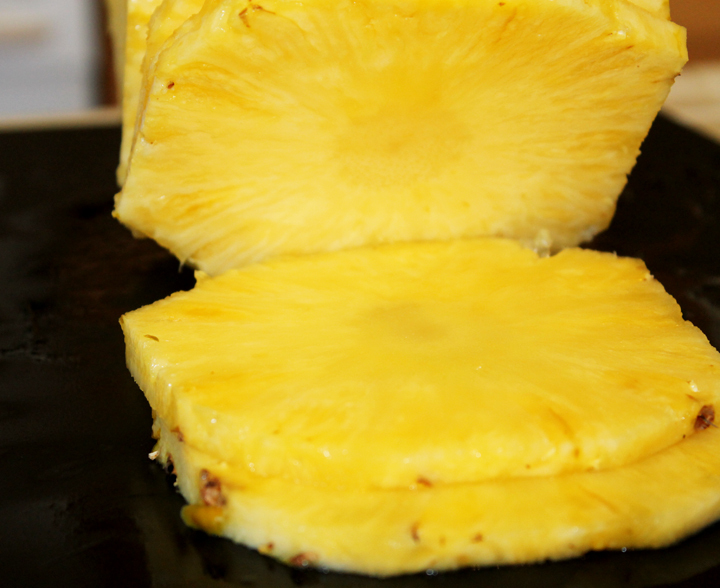 I recently learned how to cut a whole pineapple. Yes, I realize this is fairly pathetic that I just did. No shame if you still don’t know how to cut one up. I’ll show you now. Cut off the bottom so it will stand up straight. 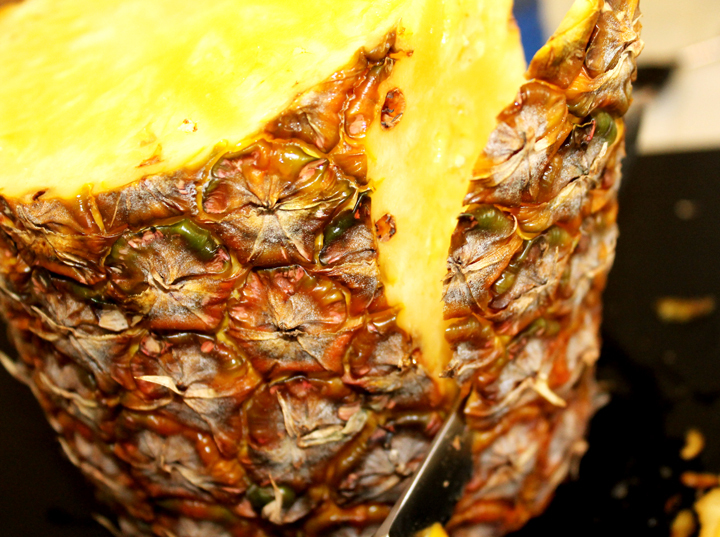 Cut off all “spikes” while the pineapple stands. Core out the middle with a small, round cookie cutter (or anything you can to core it). Slice into rings or cubes (I did rings that time). Yes, and that concludes the process. I have just made you a summer fruit champ. You’re welcome. 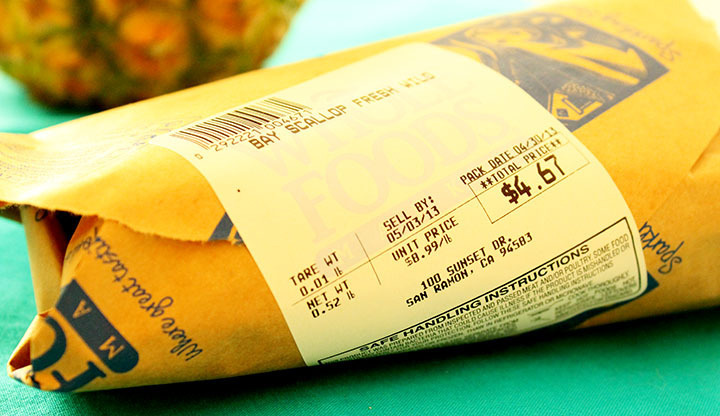 You can eat it fresh and plain. Or, you can be super awesome and try putting it into a stir fry. 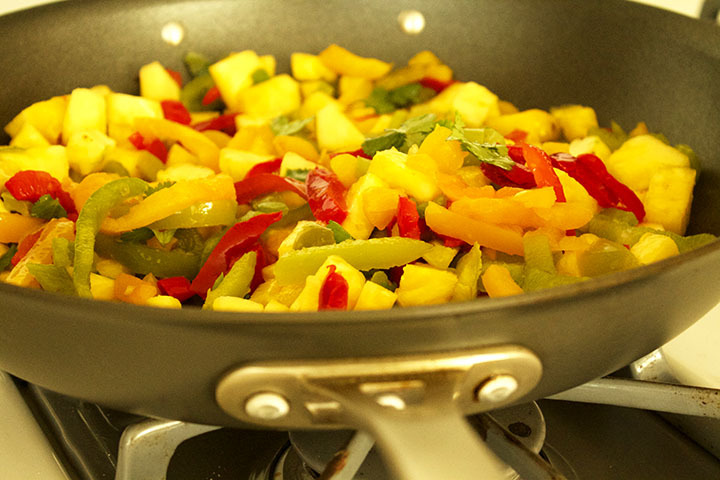 Place the pineapple, peppers, cilantro and a little sea salt in a large pan (the Wok works perfectly) with a little coconut oil. 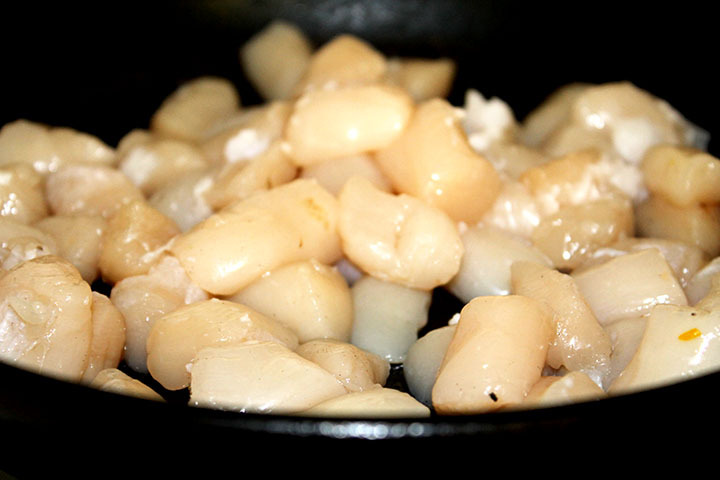 Place the scallops in a separate, small saute pan. 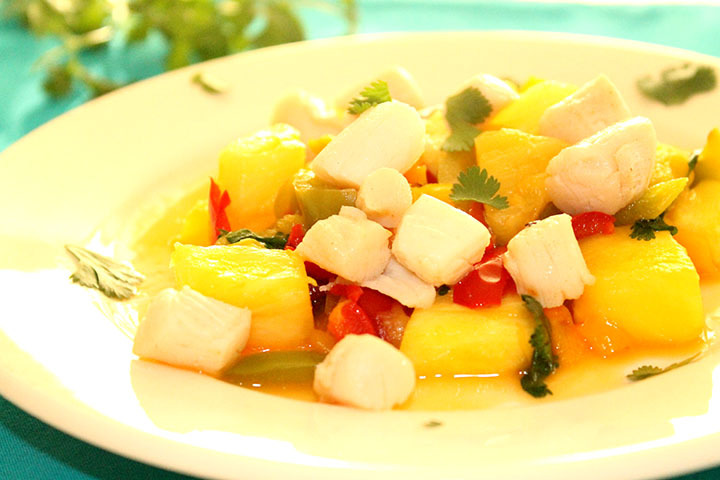 Saute in a little coconut oil. 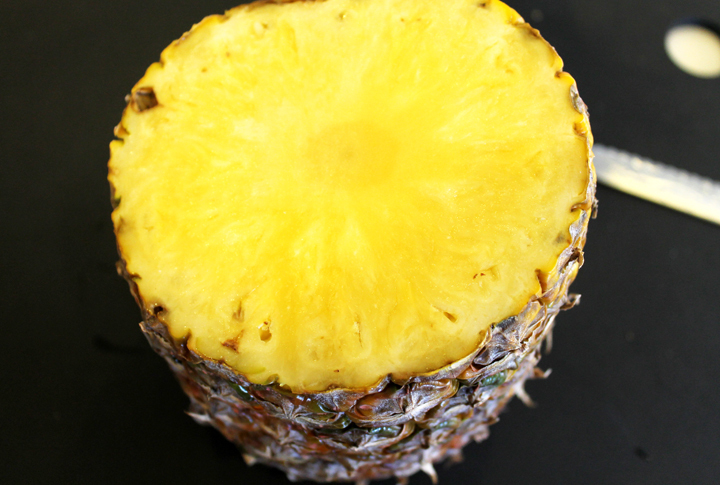 If you love pineapple recipes, check out my Grilled Chicken Kabobs, Pineapple Quinoa and Homemade Pineapple Vinaigrette recipe from last summer.